Understanding nitroglycerin mechanism of action is a first step to taking care of your heart, clarity of your thoughts and your body’s response to exercise. To appreciate that statement, we need to travel the stars, return to earth, visit the past and move into the future. Gene Roddenberry’s Star Trek still holds incredible insights into the power of imagination and human nature. The cell phones that you carry now, were first seen as the communicator in Star Trek. The 3D printers are inspired by the replicators and transporters that could beam anything into existence and anyone to another destination instantly. Despite all this, the magic of Star Trek for me was the interactions, the personal growth and the possibilities it presented along with accurate description of challenges we face, not in space, but in our daily lives. Mr. Spock, torn between the power of mind and the suppressed desires often failed to control his emotions when it came to Captain Kirk – his friend. How often do you you lose control when it comes to your friends and those you love? And Captain Kirk often guided by his controlled, targeted emotions managed to bring just enough of an impeccable logic to a situation to complete his mission. The Prime Directive, a guiding principle of non-interference somehow took a back seat based on how Kirk viewed the situation. In approaching wellness, these are the tensions we must face. There is a logical part of us that often in conflict with our emotional part and in the meantime whatever guiding principles of spirituality, ethics or wellness we might hold dear take a back seat to that struggle. My approach to life follows a path of energy flow from the spiritual through mental, causal, emotional and physical. In each stage there is dilution and transformation. In that process of flow, I use the rigidity of mental structure to contain the emotional energies that make life enjoyable. We need both in an intricate balance. I use reason to select a goal first and then a path that utilizes my resources best to reach it. Emotional fulfillment may be a part of the goal and the path but not without reason. Reason is rigid, and rigidity contributes to brittleness. Experience, accumulation of knowledge and the process of aging distort the process of reasoning and make it too rigid and harmful to the body. 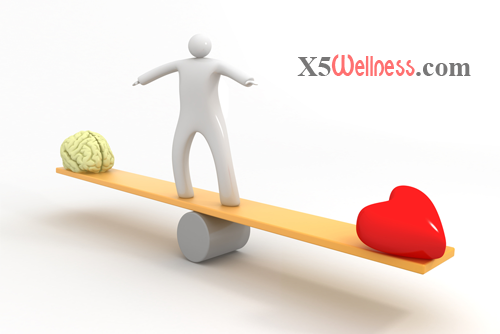 In these series of articles we explore aspects of particular kinds of mental and physical rigidity that contributes to the health of the heart and the clarity of the mind and the role of specific groups of compounds that could help you improve both. Just like any story, you’ll meet larger than life characters. Unlike a fiction, these were real. Their impact resonates through your life in tangible ways. And you may not even know them. Ascanio Sobrero, an Italian chemist, first prepared an explosive compound called nitroglycerin in 1847. He warned not to taste it because it invariably caused severe headaches. His invention had two predictable results. It would explode and it would with a high degree of precision cause headaches. Nitroglycerin offered a choice between a destructive and constructive path. Alfred Noble, the Swedish chemist, inventor and industrialist who started the Noble Prize took one path. Alfred Noble held hundreds of patents. He made a fortune manufacturing and selling dynamite for construction, mining and war. He through personal loss knew the power of explosions. His brother Emil died on September 3rd, 1864 in a nitroglycerin explosion. Through observation of his workers and their experience with increased headaches and reduced angina pain, Alfred Noble could see how nitroglycerin could impact health. He had become rigid by his knowledge of chemistry, his lifetime of experience, his tragic losses and his involvement with the explosive aspects of nitroglycerin. He could not bring himself to even see the possibility of a healing and treatment for his cardiovascular illness in a compound he only knew as an explosive. Rigidity is the opposite of freedom of motion. A rigid mind has lost freedom of choice and has only kept the illusion of it. During coaching sessions, after spiritual challenges, the first obstacle is always the rigid thought patterns that show in repetitive actions and outcomes. Spiritual energies relax the tensions in the mind and allow it to return to a fluid state. Physical actions such as breathing, nutrition and exercise are also part of the same puzzle. While Alfred Noble followed the path of predictable explosive power of nitroglycerin to make dynamite for good or for ill, two others, both healers, followed another possibility and investigated predictable headaches nitroglycerin caused. One of these healers was Constantin Hering, who followed homeopathic principle of ‘like cures like.’ He thought that a diluted form of nitroglycerin might also be able to cure headaches. Today it is common for many to carry fast acting nitroglycerin pills or patches to open the blood vessels and improve blood flow. The reason Alfred Noble’s workers experienced both headaches and relief from the angina attack is vasodilation nitroglycerin causes. Nitroglycerin mechanism of action is to relax the smooth muscles in your arteries that allow the blood to flow more freely. Many heart problems, as well as memory problems are caused by restricted blood flow to the heart or brain. It may seem that we want increased blood flow without popping up nitroglycerin pills. That is not accurate. We don’t really want increased blood flow. We may claim that we want healthy energy, clarity of thought and the freedom of motion that comes with increased blood flow. However, I have seen so many who reject solutions that could bring them higher energy, more clarity of thoughts and pain-free motions. I am not talking about hard stuff; I am talking about easy steps that take a few minutes a day. The simple reality is this. We want what is in harmony with our state of consciousness and we reject what is not. Our state of consciousness is a private space that only we can control and change. Our thoughts, feelings, actions and outcomes always reflect our state of consciousness like a mirror. It is not the other way around. Information such as the one I provide, at best could help you contemplate and reflect. It will only be beneficial to your wellness if it is in harmony with your state of consciousness enough for you to put the information into action. There is a Spock in you; there is a Kirk in you and you have a Prime Directive. But what is your mission? What is it that you want to accomplish? In the next part of this article, we’ll take up the story as we go over. The details of the natural compounds that could duplicate the effects of nitroglycerin. How an Italian boy’s interest in blowing things up and making home made rockets led to the discovery of one of the most significant chemical compounds related to health of the heart and the brain. How acid rain and automobile exhaust fume could be connected to The Nobel Prize in Physiology or Medicine. Which steps you could take to improve your blood flow and all the positive healing benefits it has. For now, take a few minutes and write down the answer to these two questions. In getting results, what is written is often followed and what is not is soon to be forgotten.